A few years back, I scored a deal on a chicken that was doomed to go wherever chickens that meet their sell-by date go. He wasn’t a bad chicken, but it was late that night and he hadn’t sold yet. I named him Edgar. Edgar was a Super Chicken. Why? Well, because Edgar was originally priced at around $8.00, but because he was a doomed chicken, I asked the butcher if he would mark poor Edgar down so I could take him home. Luckily for me, the store would rather sell him than not so I scored a $3.00 whole chicken and Edgar became a super chicken to a single mom. Not too long after I brought Edgar home, I ordered my very first boneless, skinless chicken breast from Zaycon Foods and we brought Edgar’s brother Merle home. I know. You’re wondering what this has to do with homemade chicken strips. Merle became our homemade chicken fingers, of course! 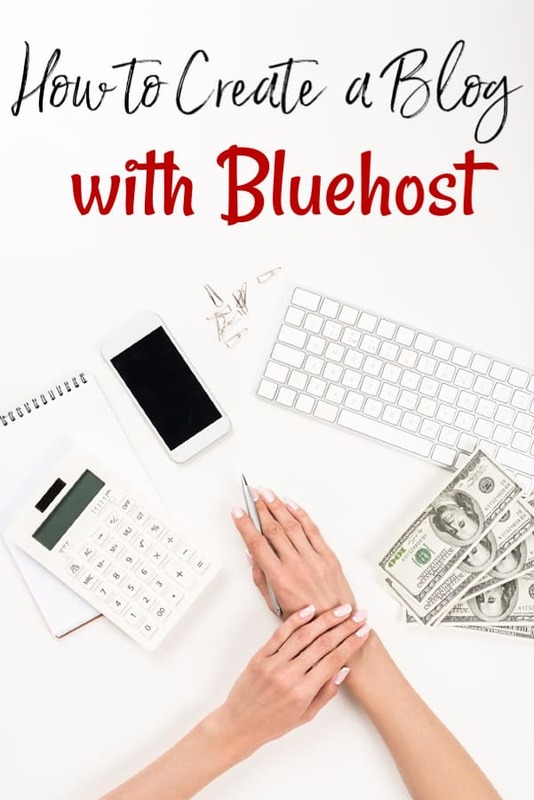 Stop looking at your computer monitor like I’m nuts. Yes. I name my chickens. A girl has to amuse herself somehow. It made for quite the laugh. Anyhow, ol’ Merle here didn’t start out as tasty as he ended. Like any plain meat, he needed help. He needed some seasonings. He needed to go from chicken breast to homemade chicken fingers. Luckily, I’m really good at tossing things into a bowl and turning out something edible and that is exactly what happened here. 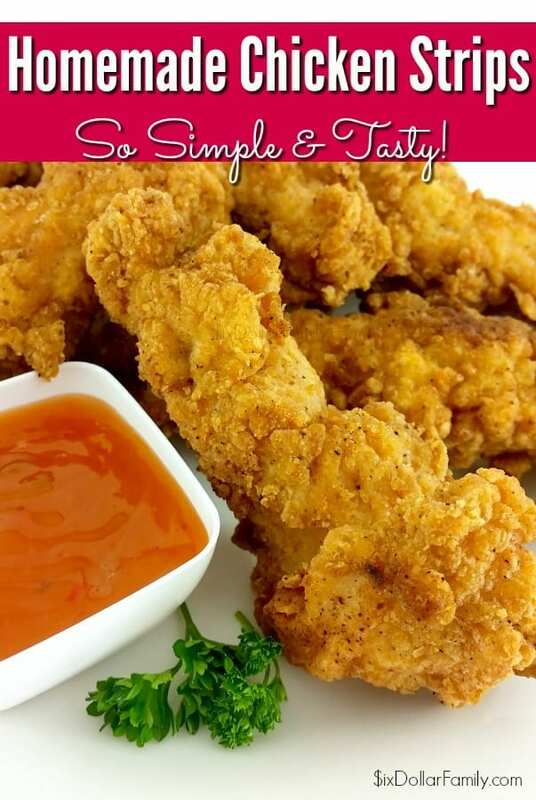 These homemade chicken strips are fantastic for lunch or dinner. 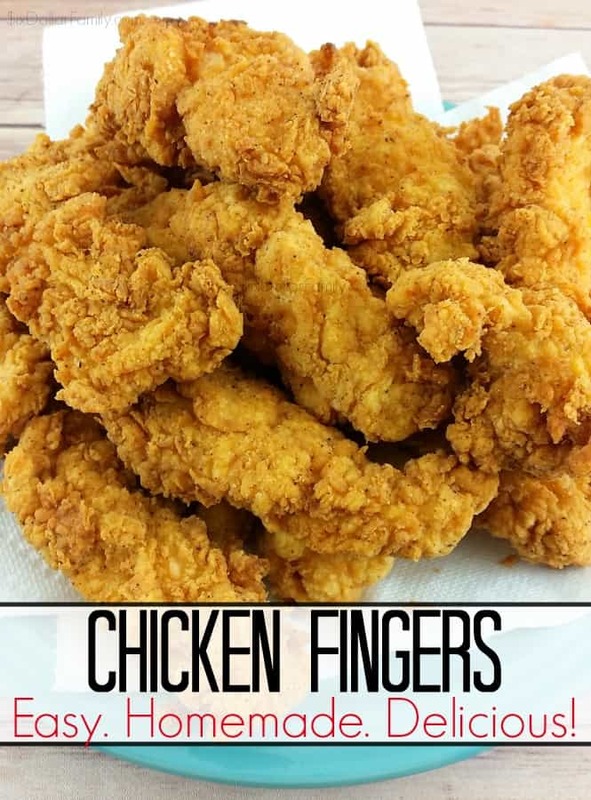 These homemade chicken fingers are one of my favorite freezer recipes since they hold up and reheat so well. If you’re planning on freezing them, cook them using the recipe below, allow to cool completely then freeze in a Ziploc bag or airtight food storage container. You can reheat your homemade chicken strips by placing them on a microwave safe plate, covering them with a paper towel – or unpaper towel if you have created a no-waste kitchen – and heating them in 30 second increments. There’s no need to thaw them. You can also place them on a cookie sheet and heat in a 350°F oven until they’re hot. 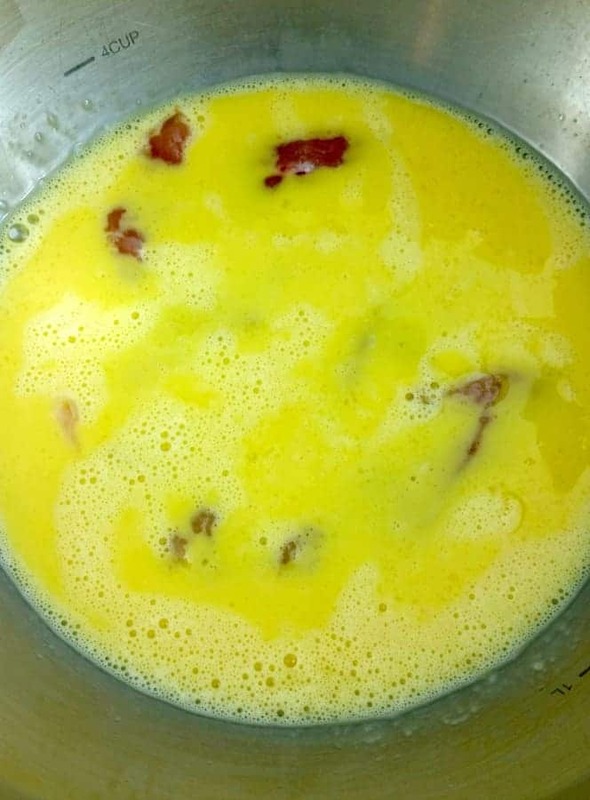 In a medium mixing bowl, combine the eggs – also known as Merle and Edgar’s cousins – and the milk and beat with a wire whisk until they’re combined. I usually use 2% milk for this recipe, but you can use whatever you have on hand. I don’t think it will make much of a difference. In another medium mixing bowl, add the flour, baking soda and spices then stir to combine. 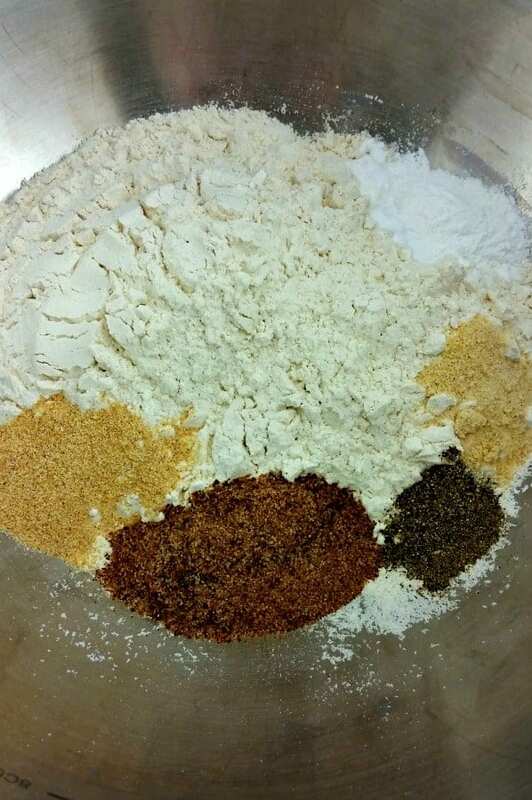 You can either use a small spoon or a (dry) wire whisk to combine the flour and spices. Whichever you use though, make sure that the spices get mixed in fairly well so you don’t end up with a huge clump of one spice. Also, you can use self-rising flour in this recipe instead of all-purpose. If you choose to do so, omit the baking powder from the recipe since self-rising flour already contains it. 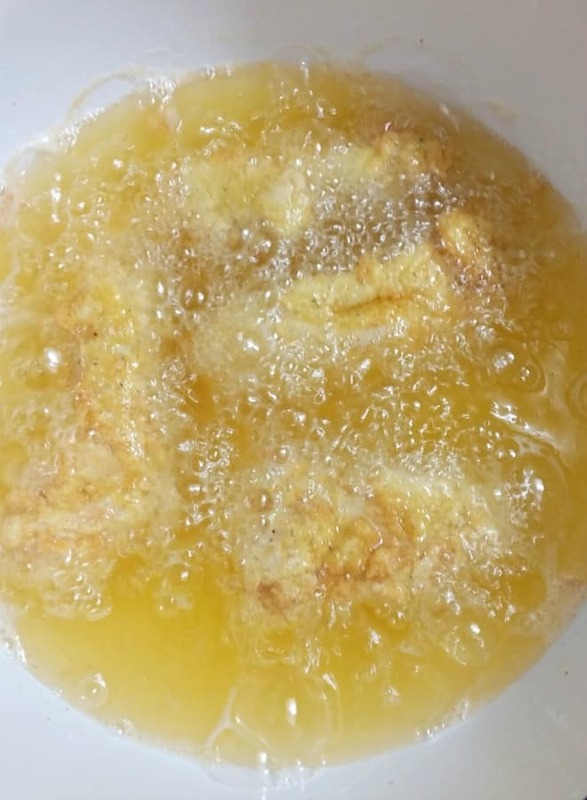 Curious about why you’re adding baking powder to a homemade chicken fingers recipe? It helps the breading set up better. 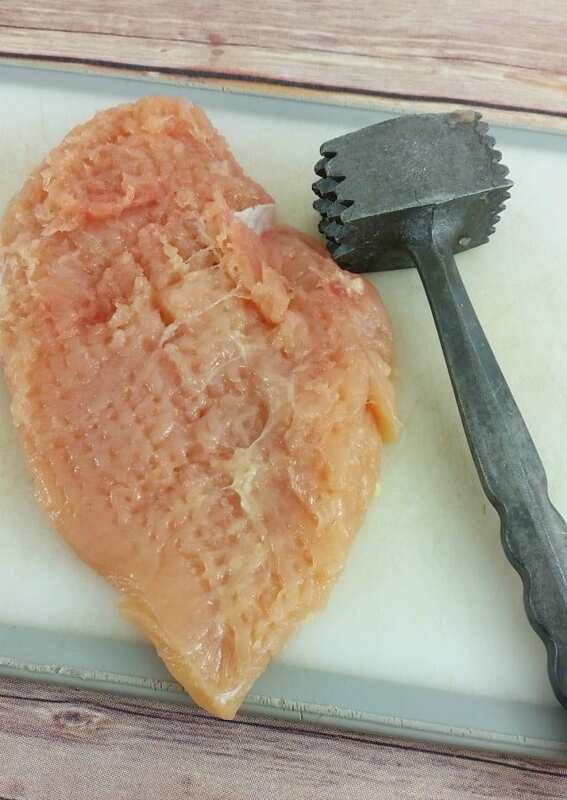 Next, use a meat mallet to pound each chicken breast thin. You don’t want to pound through the chicken, but you do want it to be thinner. This is especially important if you have really thick chicken breasts like I did. For real, do you see how large though chicken breasts are? That’s one of the reasons I adore placing an order from Zaycon Foods! 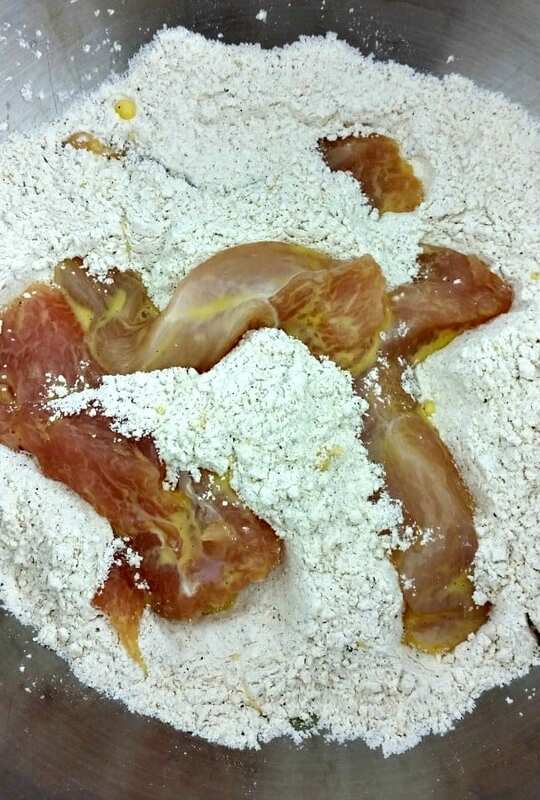 Pound each chicken breast out to however thin you want them to be for your homemade chicken strips. Poor Merle. 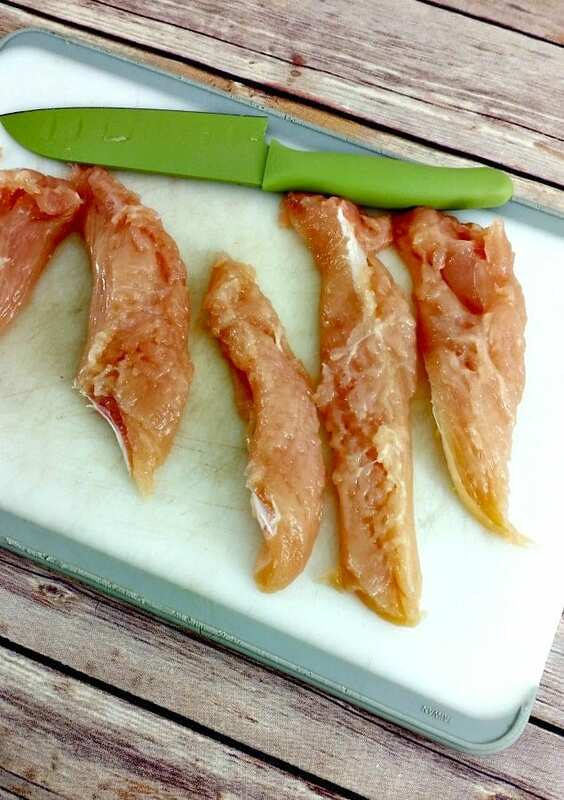 Next, using a sharp kitchen knife, cut your chicken breasts into strips. You could also do nugget sized pieces too if you preferred. After you’ve got the cutting finished, heat the cooking oil over medium heat in a heavy bottom skillet. Don’t use high heat for this. It is far too easy to burn the oil and your homemade chicken fingers when you do. Your oil is hot enough to cook when you can drop a pinch of the flour mixture into the skillet and it sizzles. You can also use an electric deep fryer for these too. If you’re using one, go ahead and get your oil heating now. While your oil is heating, dip your chicken strips into the egg. Make sure to get a really good coating for the flour to adhere to. 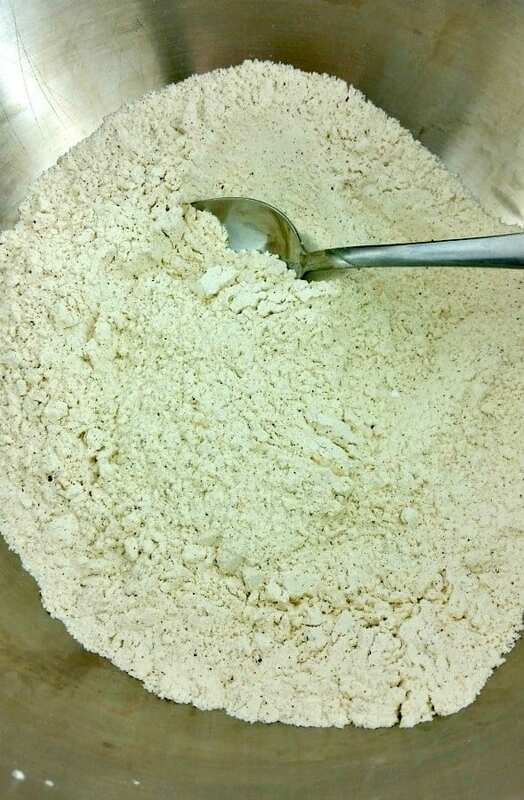 Once you’ve got a good egg coating, dip them in the flour and coat them well in the flour mixture. 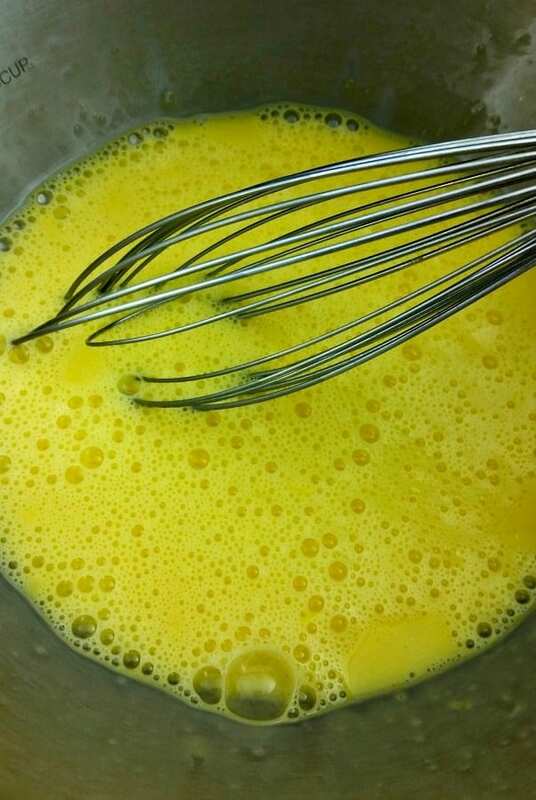 Once you’ve got a good coating, dip them back into the egg mixture then back into the flour again. In total, you’re dipping in egg twice and flour twice. 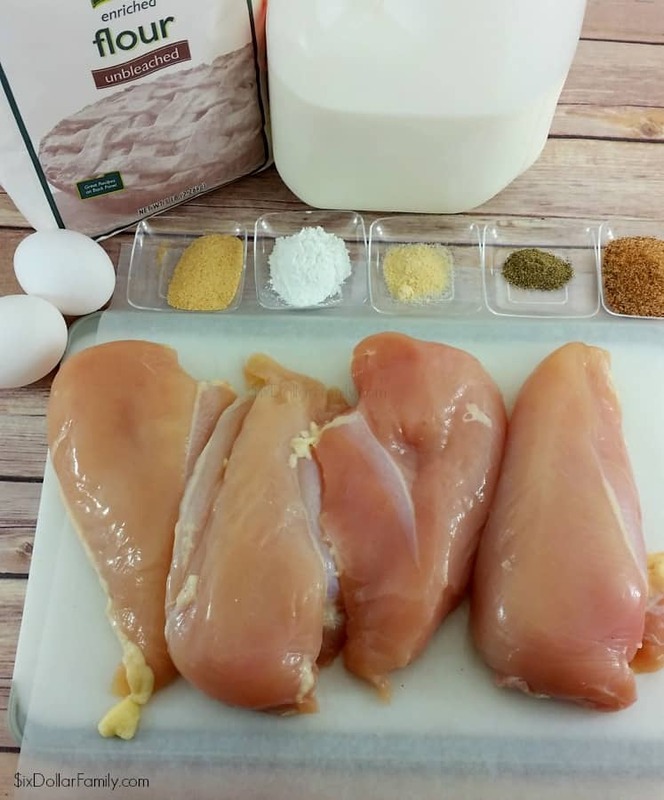 Dipping your homemade chicken strips in the egg then flour then egg and flour will make sure that you have a complete coating and give you an extra crispy crunch. If you don’t want your chicken strips to be extra crispy, you would only need to dunk once. After your oil is hot, add 3-4 chicken strips to your skillet and fry your homemade chicken fingers until they’re golden brown. Once you’ve added them, don’t touch them for 60-90 seconds. This will allow the batter to set reducing the chances that it will fall off during cooking. Flip them and allow the other side to set as well. Cook for another 5 minutes or so or until your homemade chicken fingers are golden brown and thoroughly cooked. If you’re using a deep fryer, they will float when they are fully cooked. 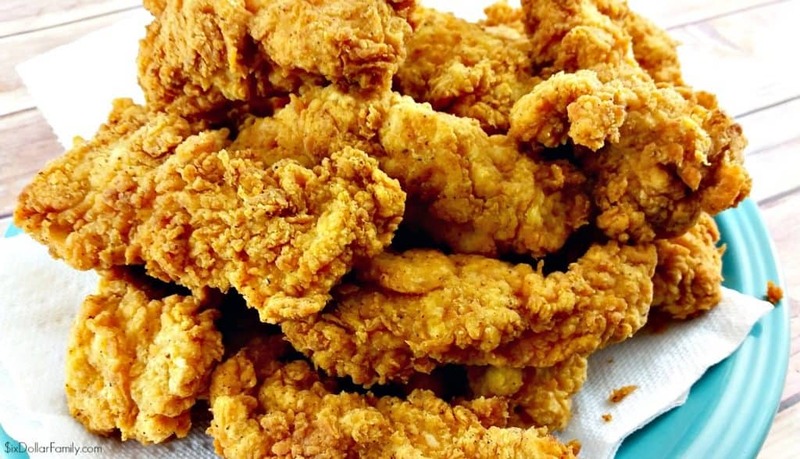 Drain your cooked chicken strips on a paper towel (paper or otherwise) and serve hot! We love to eat these with my simple homemade BBQ sauce recipe, but they’re just as delicious with honey mustard or even plain! My husband made these for me tonight. We did them with gluten free flour and they turned out amazing! Can I make a huge batch of this and then freeze them? If yes, how does it work with defrosting and reheating? Yes they can be frozen. Cook them like the directions say, cool then freeze. No need to thaw when you’re cooking if they’re thin. If they’re thick you’ll want to let thaw before reheating. Reheat however you want. Oven at 350 degrees F or deep dry. I’m so glad you don’t cavil about what chicken you used! Yes, we name all our critters, too,and love them while they’re alive, but also don’t sob and cry over them when we EAT them later! America has gotten so “divorced’ from reality, about where food comes from, that it is scary. Anyway, I laughed all the way through your instructions, and plan to try this recipe for my family ASAP!!! I made this today. It was perfect 🙂 I made some for my sister with gluten free flour as well as regular flour, both turned out great. My family loved it. I will admit I spent a little while wondering what Merle chicken was… lol. I made these for dinner and my husband just loved it. The seasoning was perfect and the instructions were funny and easy to follow. Could you make these without the milk for a child who has a dairy allergy? Karen, I imagine you could use unsweetened soy or almond milk as a substitute. The recipe says baking “powder” in the list at the top. Then, in the instructions, it says baking “soda”. Which is correct? Ty for pointing that out Tracey. It is baking powder.